The master storyteller is back with a classic race-against-time thriller with a modern edge. But what if the most dangerous weapon in the world isn’t a smart missile or a stealth submarine or even an AI computer programme? What if it’s a 17-year-old boy with a blisteringly brilliant mind, who can run rings around the most sophisticated security services across the globe, who can manipulate that weaponry and turn it against the superpowers themselves? How valuable would he be? And what wouldn’t you do to get hold of him? Another masterpiece from a grand master! I like good books and Forsyth is one of my best. 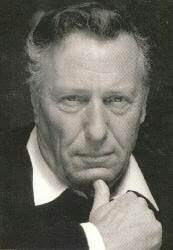 Frederick Forsyth is the author of fifteen bestselling novels: The Day of the Jackal, The Odessa File, The Dogs of War, The Devil's Alternative, The Fourth Protocol, The Negotiator, The Deceiver, The Fist of God and Icon. His other works include The Biafra Story and No Comebacks. He lives in England.